Tracks are sick and have a tranch type affect. Man, what are you guys talking about!? This is COOL Stuff!!! its one of my first Beta experience, and im hooked since then. Viva Ninja and Morris!! this is one of the best sets in the entire beta lounge archive if you ask me. spacey, dubby, and totally beautiful. This is the best EVER!!! I love this set but check out this one as well which has pipped it to the post for me. http://www.cloudfactory.org/music/chillits03.html If you have Real it’ll play it direct otherwise you’ll have to download. Hope you lovers of Morris love this:) Yo! Oh my god! This set is so amazing. It’s chill and bumpin’ and beutiful, all rolled into one. I’ve listened to this piece more than any other dj set on the web. this set is so solid. top mix nice one beta lounge!!!! I’ve lost count the number of times I’ve listened to this set. Pure bliss each and every time i hear it. Let the world know the genius of Mixmaster Morris!!! I’ve listened to this set countless times and shared it with so many others. Another amazing mellow set by Morris. Thank you! I was also curious about why he doesn’t update his website. I used to love discovering the records he recommended! A man of great taste, indeed! Beyond, man. Mo knows how to set up a real mind groove, use it to hypnotize you, and freak it every now and then just to wake you up 😉 . Makes me want to play it while I’m sleeping so I can have great dreams. Any other DJ sets in the archive that come close to this? Or does he have a monopoly on bliss? Mixmaster, you tha man!!! Amazing. Heard him live once, blew my mind…..
I’m just listening to this set for the zillionth time. Sublime music. I wonder if I’ll ever tire of it …? I somehow doubt it. MMM, if you’re out there reading this, or anyone else for that matter, do you have a set list for this – there are some beauties I’d love to get my hands on. very very niice, one of my fave beta setzz, i met morris once..he talks alot …. Played this set a few times – brilliant. I used to go to Lost parties in London for years and never listened to his sets in the second room, now I feel like I’ve really missed out. Anyone know what the piano track is just after Lava by Boozoo Bajou and before the General Motors section? Sounds like the Orb but could well be mistaken. hello there, does anyone know the track at 01:48 ? – it´s great! Can anyone id the track at 00:10:03 – mental smoothness with a flake! Very chill. I likey! I’m obsessed with the track that starts at 1:47:34!! Anybody know the name? It’s AMAZING!! Hello everyone, glad you enjoyed this set! I havent been on this site for about 3 years so I was suprised to find it still up! The link here is to my old site which is totally defunct… you can find me nowadays at http://www.myspace.com/theirresistibleforce There are lots more of my sets to download at this link… http://www.mixdownloads.net/index.php?sort=date&list=author&author=Mixmaster+Morris And I have a new mix CD coming out soon – NUBIENT NUGETS vol 1, from theAgriculture label in NY. Jokull : the track at 30 mins is REI HARAKAMI from the album Unrest (Sublime recs) He is my favorite Japanese electronica producer …. Thanks now I got my Mixmaster fix! Smoothest mix ever, especially the first hour. I’m looking for the name of the track on 45mins. A whole tracklist would be better though. Peace. Takk fyrir Herr Mix Master. Thanks for the brilliant set to. Happy summer 2008!!! 1h53min54s 6th sense – Illusion (Irresistible Force Mix) on Joint records. Puh, that took me about 4 and 1/2 years to identify it. 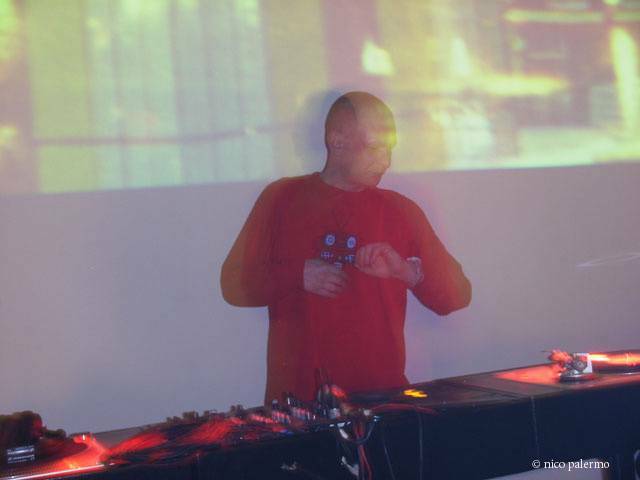 Even 4 years ago when i met Mixmaster Morris in Graz and asked him personally i didnt found out. First i asked him about the track, then i tried to sing it. 🙂 I dont knów if he recognized it (altough i have a beatiful voice … 😉 ) He gave me a hint, but i had nothing to write. Thank you anyway Mr. Morris! The little chat with you was great and i will always remember that night. Peace from Graz, Gregor Btw: i still got the photo of you and me. a really amanzing slowtempo soundmix with very unknown musicpieces from oh.. }:-o ..the outerspace? I listen things, what I never heard until today. Thanks to Mixmaster Morris. You has got Mastership !! could i please sit on the floor and listen to you some more? maybe i dont rate but so do you. I remember in ’03 sitting long hours at night programming and listening to this album. PURE, seamless, + genius. I always check back to betalounge just for this. Thank you Betalounge. Thank you MMM. Yonyonson, that’s so great! I remember the same sort of thing – I even see my comment about this set from ’04! Wow, where has the time gone? Many great performances over the years, but this one stands the test of time. Could we ever get MMM to come back to Betalounge for an encore?! Thanks, Betalounge! We are still loving you from Austin, Texas! 2016 and I’m still coming back for this set once in a while.